Do you think you have found an archeological site? Or may even LIVE on one? It’s VERY important that, for the protection of Virginia’s archeological heritage, you take the proper steps to preserve the site exactly as is, and contact your local professionals to help you interpret it. The basis for stewardship is a landowner’s willingness and concern for the protection of Virginia’s archaeological heritage. 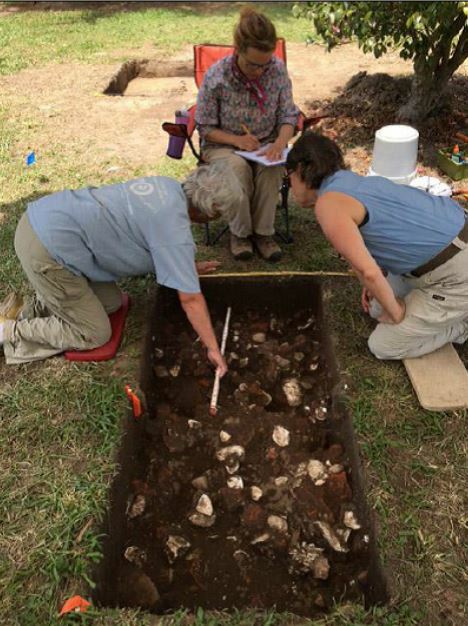 The decisions made by private property owners and local governments will have the greatest effect on Virginia’s archaeological sites in the coming years. Through stewardship, future generations will be able to study the everyday lives of our forbears through the traces and artifacts they left behind. Good stewardship, therefore, is everyone’s responsibility. Do report sites discovered on your property to the Department of Historic Resources. Your report will not trigger any land use decisions but will aid in scientific research and preservation planning. Don’t conduct any earth moving or construction in the immediate vicinity of your site. For more information on what to do next, contact The ASV. Since 1985, the Department of Historic Resources (DHR) has administered a program for threatened archaeological sites in Virginia. Sites considered for funding must be at least of statewide significance and under threat of destruction. Eligible sites also are ones for which no other sources of funding are available for their rescue. Anyone may bring these sites to the attention of the department. Potential eligible sites are evaluated both by department teams and a Threatened Sites Committee composed of members of the archaeological community. Funds are committed for assessment, excavation, laboratory processing and analysis, and reporting. Volunteers and the public are involved at every possible opportunity. For more information on the Threatened Sites Program, contact Mike Barber, State Archaeologist.